When it comes to acting, comedy can be one of the most difficult things to master. 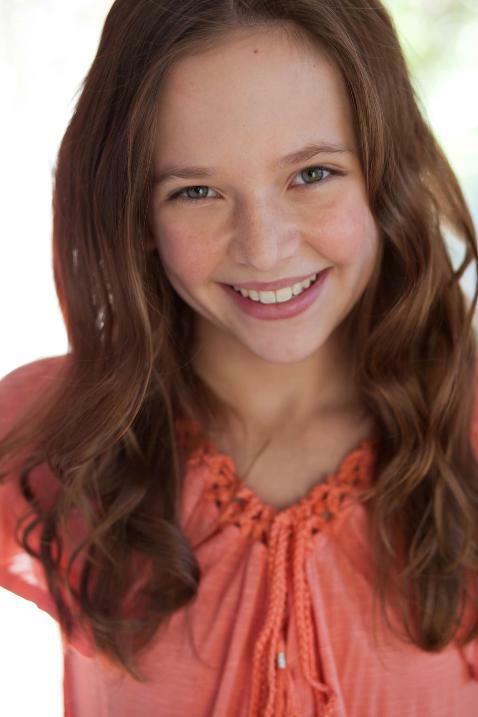 But for actress Alexis G. Zall, who stars in the upcoming TV movie Out of Reach, being funny comes naturally. The super-talented 14-year-old actress from Scottsdale, Arizona, is a one-person comedy machine, turning out witty one-liners like a pro. Not only does she star in her own weekly YouTube videos, she also writes, directs, edits and sometimes even films them herself. It was through that experience that she began to discover how much she truly loved being an actress. With the encouragement and support of her parents, she began traveling regularly to Los Angeles for auditions. Soon after taking acting classes to learn the craft, she found herself in front of agents, managers and casting directors at a national talent expo in Dallas, Texas, where she won the “Actor of the Year” award. Since beginning her career less than a year ago, Alexis has already landed several roles, including an episode of the AwesomenessTV series My Mom Can’t Cook with chef Vic Vegas, the short film Honest Santa (directed by Alex Goyette), as well as the webseries Spirits (starring Lia Marie Johnson). She also plays the lead role as Rachel in Rachel’s Galaxy, which can be seen on the Wogglebox YouTube channel. When she’s not making short films and internet shows, Alexis enjoys creating her own YouTube videos, which are a mix of scripted dialogue and improvisation. Still, when it comes to ideas, she says there’s no telling where they will come from or what will inspire her to create her next project. In addition to writing her own scripts, she also writes free verse poetry in her spare time and has traveled the world extensively, visiting countries like Russia, China and Greece. She is also an accomplished athlete. Having started gymnastics at 23 months old, she competed for seven years. As a Level 8 gymnast, she was able to use her acrobatic skills in her role as a young assassin in the series Vendetta. Most recently, she wrapped production on her first feature film, called Out of Reach. Directed by John Merberger, the movie also stars Erin Karpluk, Lochlyn Munro, and Sarah Lieving. 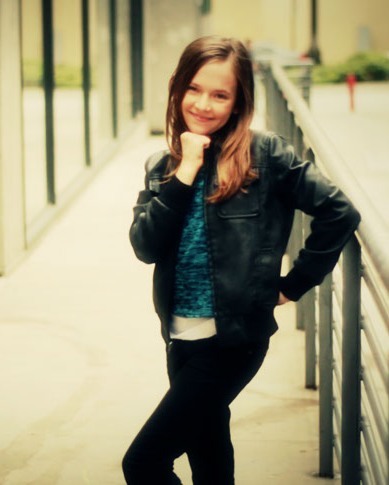 Someday, Alexis said, she hopes to be able to work with one of her comedy idols, like 30 Rock star Tina Fey. When she’s older, Alexis wants to follow in Tina’s footsteps and take what she’s learned from working on other projects to create her own television show. In the mean time, you can catch Alexis G. Zall in Spirits and Rachel’s Galaxy on the Wogglebox channel (click here). You can also subscribe to her official YouTube chanel at Youtube.com/user/AlexisGZall and be sure to follow her on Twitter @AlexisGZall. To become a fan on Facebook, (click here) to “like” her official fan page. Share this story with your friends on Facebook and Tumblr! And be sure to Tweet the link on Twitter using the hashtag #ItZallGood.